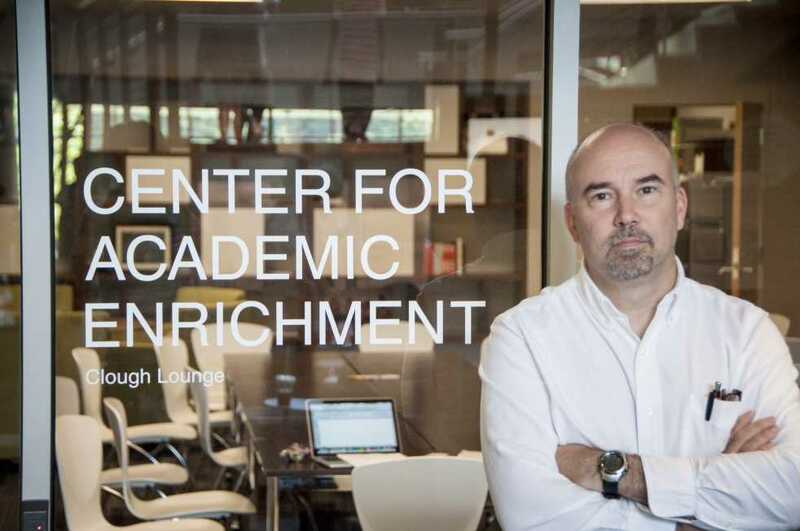 In July 2013, Dr. Peter Ludovice was appointed the Director of the Center of Academic Enrichment, located on the second story of the Clough Undergraduate Learning Commons (CULC). Previously, he had led ThinkBig programs on applied humor, participated in ‘This I Believe’ and currently teaches a GT 1000 seminar on Chemical Engineering through this organization. As the Center is in charge of Freshman Experience, the GT 1000 classes and the ThinkBig programs, a large number of students will benefit from the office during their Tech careers. Under his leadership, the programs this semester have been geared toward uniting the student body regardless of major. Around Oct. 16th, the Center’s OpenForum program will host Roald Hoffman, who, in addition to winning the 1981 Nobel Prize in Chemistry, has published two collections of poetry. In the long-term future, Ludovice plans to expand the horizons of Tech students even further. While the office manages the Undergraduate Research Opportunities Program (UROP) and the Inventure Prize competition, Ludovice hopes to introduce two new programs in the next few years: the X-Degree program that would allow students to plan their own course of study and the option of adding “Service Learning” as a degree designation. “Service learning is where you will go out and do open-ended entrepreneurship to aid nonprofit groups,” Ludovice said. While students at Tech are notorious for spending long hours in the library studying and playing video games, Ludovice’s guidance of the Center of Academic Enrichment is one step toward subverting this reputation.